Begin in an upright standing position with your legs hip-width apart and your toes slightly pointed outward. Hold a foam roller at chest-height with both hands. Bend your knees and hinge through your hips to move into a deep squat. 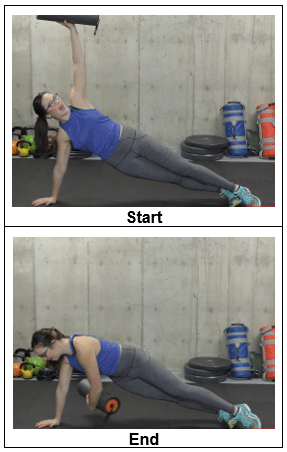 Raise back up and extend both arms overhead. Return to the starting position and repeat the movement. Start with one set of 5 repetitions. Move into a forearm plank position, maintaining a proper alignment with your head, shoulders, hips and toes. Place the foam roller under your body, just below your knees. Contract your core, then run the foam roller from the bottom of your knees to your ankles and back. Repeat the movement. 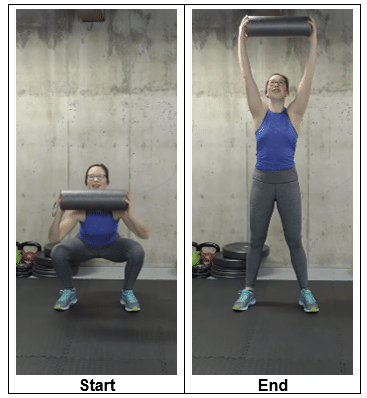 Move into a side plank position, holding the foam roller in one hand and maintaining a proper alignment with your head, shoulders, hips and legs. Tighten your core and bring the foam roller up toward the ceiling, then lower it back down and extend it under your body. Return to the starting position and repeat the movement on the opposite side. Start with one set of 5 repetitions on each side. 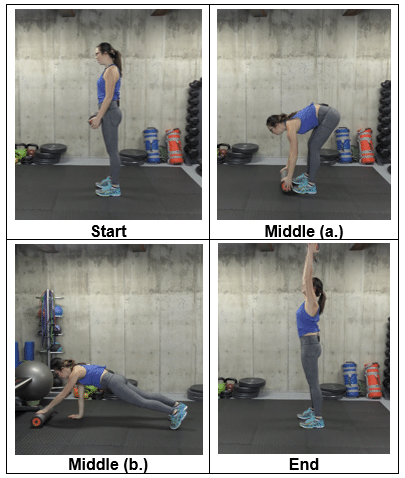 Begin in an upright standing position holding the foam roller in both hands. Move down to the floor, rolling the foam roller out in front with your hands to move into a straight arm plank position. Roll the foam roller back in then raise up, extending both arms overhead. Repeat the sequence of movements. 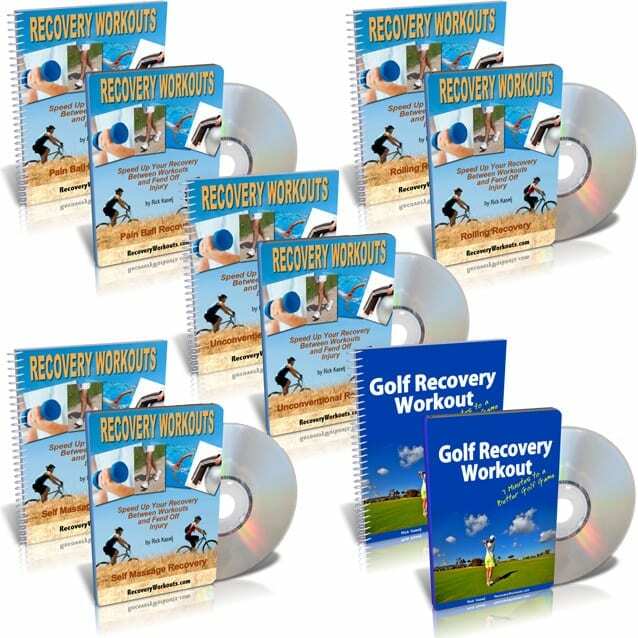 If you want to speed up recovery, reach your fitness goals faster and rapidly hit your peak, then check out the Recovery Workouts program.